I was searching for a book about solar eclipses that would be manageable in length. This book was one the first results in a search and hence the one I turned to. My interest in solar eclipse books comes from the fact that in March of this year there will be a partial solar eclipse visible where I live and I had to do some research on the related mythology for work. The book was a quick read with many interesting topics – in addition to myths and legends, that I was mainly after, there’s also talk about the science and history of eclipse observations and what humankind has found out thanks to solar eclipses – all quite fascinating, as previously I knew only about observations of the corona and the search for a planet closer to the Sun than Mercury and of-course the famous observational proof for Einstein’s General theory of Relativity. But it turns out there are more! 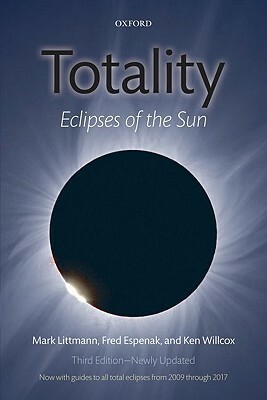 For those more practically minded -the book introduces safe ways for observing and photographing a solar eclipse and gives ideas about what kind of equipment you need and also how to later process your images. Though there was something disturbing by the end – although it is mentioned so many times in the book, how extraordinary seeing the totality is, and how you can’t express it in words and can’t really capture the emotions in photographs or on video, at some point I did catch myself thinking “meh, just the Moon in front of the Sun and the sky is dark… big deal” So obviously it is necessary that I’d actually see it myself, otherwise I’ll be as any person who’s never seen Saturn through a telescope and would just shrug about seeing a planet that is so beautiful and so far away yet visible through two correctly shaped pieces of glass in a tube…. So possibly that is what I came away with – you have to see it to actually understand it better. 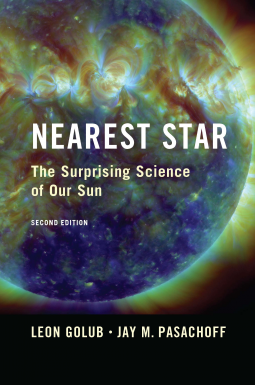 “Nearest Star” is as the title suggests (surprise – surprise!) about the Sun. In the past few months I’ve read two other books about the sun Christopher Cooper’s “Our Sun” and Pal Brekke’s “Our Explosive Sun”, which are both visually very good books and the content matches the visual sign and is good. Some how with each next book I find that there’s something else that I did yet not know about (hmm… maybe that’s why you can’t be an expert on something that you’ve read just one book about? There’s something there…). One of the important parts in this book is observing the sun – how to go about doing it, what methods there are, etc. Although it’s a standard part to have in a book about the Sun, I didn’t know before that several solar telescopes have interiors that are basically vacuum chambers because otherwise the air in the telescope would heat up and cause the air to move about hence ruining the image. Somehow I’ve never come across that before. But what else can one find out in this book? Well naturally there’s an introduction to the physical aspects of the Sun and you can read about different ideas that astronomers had about how the Sun produces energy. Then there’s the observational part – what can be observed and from where and why it should be observed? Then you can find out a bit about the structure of the Sun, about eclipses and finally different space missions like Hinode, IMAGE, SDO and others that are observing the Sun, but also about space weather, how it’s important and whether or not changes in the Sun are causing Earth’s climate to change or not. So all in all it’s a comprehensive guide to the Sun, and what is known about it and what is left to be found out. I enjoyed this book in it’s e-galley format, so it didn’t have many of the figures and schematics, which will probably give a lot more to the book.